A campaign group has urged the public to have their say in the next phase of the £400m regeneration project on the former Royal Exchange site in Belfast. The move comes after the council granted approval to demolish several buildings on Royal Avenue to make way for the development earlier this month. Outline planning permission for the next phase of the project, however, is yet to be decided. Carried out in phases, the construction of the development will include: two hotels, the reintegration and refurbishment of seven listed buildings, three new public realm spaces and a 22-27 storey tower block. Concerns over the project were previously raised at City Hall by several councillors and campaign groups, such as Save Cathedral Quarter and Ulster Architectural Heritage, namely regarding the potential negative impact on heritage, arts and smaller businesses. Recent court cases and changes to the planning system in the past few years have left the decades-long trail of paperwork regarding the site “an absolute mess”, said Save CQ’s Mura Quigley, who wants the public to write to the council giving their views on the plans. Previously known as the Royal Exchange project, the site switched hands in January 2016 in an off-the-market deal between Castlebrooke and Cerberus Capital, the US firm who purchased Nama assets totalling almost £1.5bn in 2014. Plans were first drawn up to develop the site in 2012, which were altered and resubmitted in 2016 when it was bought over to allow for a phased delivery. “In the midst of all this, the planning system was completely overhauled and case law, as we’ve seen, is changing the goalposts every month,” Ms Quigley said. “You must consult with communities before applications of this scale go through and it’s a three-tiered system. The overall site covers 12 acres of land in the North East Quarter of the city centre bound by Royal Avenue, Donegall Street, North Street, Lower Garfield Street and High Street. Construction for the proposed scheme is estimated to be around £250million, with the total investment reported to be close to £400million. Mura Quigley said during the pre-application community consultation phase last year the public was not given sufficient information about the development and “everyone just became more confused”. “People were horrified when they found out what was exactly going on, but it was still very vague,” she said. “When you come in and put a wrecking ball to streets you lose the character and identity of the area." 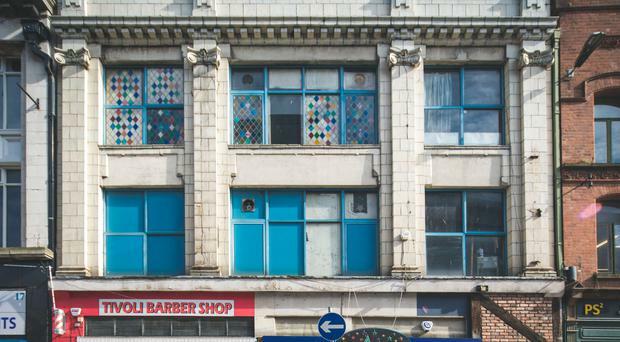 “Heritage was sacrificed in the 2012 planning application, with losing North Street Arcade – now it has gone even further.," she said. "We have full streets getting demolished and a 27-storey tower block erected right next to the Assembly Rooms, one of the oldest parts of Belfast.